Since the turn of the century, drug and alcohol addiction has become an epidemic in the United States. The rise of opioid use and the number of people in the United States who relapse following rehabilitation has led medical professionals to look into alternative treatment methods, such as medication-assisted treatment. An evidence-based strategy that includes the clinical use of medications to block withdrawal symptoms and cravings, this treatment approach could help save lives and diminish the destructive effects that addiction has had on millions of U.S. families. According to the National Council on Alcoholism and Drug Dependence, alcohol use disorders affect 17.6 million Americans, while 88,000 deaths each year in the United States are caused by excessive alcohol use. Additionally, the use of dangerous drugs continues to afflict nearly half of the U.S. either directly or indirectly. The Pew Research Center found that 46 percent of Americans knew a close friend or family member who suffered from drug addiction at some point in their life. While substances such as alcohol and cocaine have long been used to dangerous extents, the rise of opioid use and prescription drug addiction has introduced new considerations regarding addiction. The Centers for Disease Control and Prevention reported that of the more than 63,000 Americans who died from drug overdose in 2016, close to two-thirds of the deaths involved the use of a prescription or illicit opioid. The CDC also reported that the use of heroin, an opioid with similar effects to many prescription pain-relief drugs, led to 8,200 overdose deaths in 2013, which is more than quadruple the amount in 2002. While treatment options for those who struggle with alcohol and drug use are plentiful in the country, not every method of rehabilitation is effective for each individual. Abstinence-only treatment programs help many people transition away from substance use, but this method isn’t effective for everyone. More medical professionals are promoting alternative methods, including medication-assisted treatment, to reduce the struggles that people with addiction face. Many rehabilitation facilities have relied on an abstinence approach to addiction treatment. This method involves the removal of all substance use from a person’s daily routine and the eventual removal of any physical dependence on a drug. By attending counseling and therapy sessions, patients are taught coping mechanisms to dissuade psychological cravings in the days, months and years following their treatment. While this method of substance abuse treatment has worked for millions of people, not everyone can achieve long-term recovery using this strategy. According to the National Institute on Drug Abuse, between 40 and 60 percent of people who suffer from addiction and receive treatment will relapse at least once following their rehab. For people suffering from an alcohol dependence, the statistics are much more troublesome: more than 80 percent of those who receive treatment experience a setback within the first year following their treatment. According to a 2017 study published on the U.S. National Library of Medicine, most people who struggle with opioids and opiates continue use within one year of receiving treatment. With the prevalence of opioid addiction and alcohol use in the U.S., and the discouraging number of people who experience a recurrence of use following rehabilitation, more medical professionals are examining alternative methods for treating alcohol and opioid addiction. With the rise of medication-assisted treatment (MAT) as an evidence-based approach to recovery, many people have asked the same question: What is medication-assisted treatment? MAT involves the use of substances approved by the Federal Drug Agency (FDA) to help people who suffer from alcohol or opioid addiction. MAT is intended to prevent the use of harmful substances by administering substances that either block cravings or act as substitutes. Understanding how MAT can be effective for people with an addiction can help those who are looking into the treatment method for themselves or someone they know. MAT programs can provide an alternative approach to abstinence programs and help save the lives of millions of Americans who struggle with alcohol or opioid use. MAT programs involve the use of FDA-approved substances that can prevent most, if not all, withdrawal symptoms that usually come with an addiction. Consistently taking opioids or similar street drugs, or drinking alcohol, can build a tolerance for the substance, which can lead to dependence. Once a physical reliance is built for a specific substance, people often feel the desire to take the same drug or a similar one, such as heroin, for those who are addicted to prescription opioids. This craving occurs not only to experience the euphoric effects of the drug but also to prevent withdrawal symptoms such as nausea and severe headaches. The FDA-approved medications used in MAT programs are either opioids themselves, or similar to opioids, and they interact with opioid receptors in the brain to fulfill physical cravings while blocking most of the euphoric effects. Since the drugs are administered in a medical setting, and doses are restricted, patients also avoid the potentially for overdosing or building a new tolerance. Using this advanced treatment strategy could decrease the potential for relapse and reduce the number of overdose deaths caused by opioid and alcohol use. Many people have asked how medication-assisted treatment for alcohol use disorders can be effective for people struggling with an addiction to the substance. Learning how alcohol consumption can affect the chemical structure of the body can help people understand how MAT is effective. Drinking alcohol has numerous effects on the chemical framework of a person’s body. The substance’s presence in the body causes the release of endogenous opioids, which can interact with opioid receptors in the brain and release a feel-good chemical called dopamine. Additionally, consuming alcohol leads to the release of gamma-amino butyric acid, an inhibitory neurotransmitter that suppresses the chemical known as glutamate, which is used by nerve cells to communicate with other cells. When the communication chemical glutamate is suppressed, the body slows down, leading to a feeling of sedation and intoxication. The brain then produces more glutamate receptors in hopes of increasing glutamate activity. Following the use of alcohol, the brain becomes accustomed to the positive feelings caused by the release of dopamine, and people could psychologically associate alcohol with happiness, which often causes a dependence to form. This connection could result in people increasing the frequency or volume of alcohol consumption, leading to more suppression of glutamate and a larger requirement to produce more receptors. As more glutamate receptors are created, more alcohol is required to suppress glutamate enough to achieve the same euphoric effects and reach the chemical imbalance that leads to feeling intoxicated. Additionally, when people do not drink alcohol for an extended period of time, the opposite chemical imbalance occurs with too many glutamate receptors and no alcohol or GABA functioning to diminish the glutamate activity. People then often experience alcohol withdrawal symptoms such as anxiety, mood changes, insomnia, hallucinations and seizures. The FDA has approved three drugs specifically for diminishing the chemical imbalance created by consistent and severe alcohol use: Disulfiram, Naltrexone and Acamprosate. These medications either decrease the feel-good effects of dopamine or reduce the withdrawal symptoms that occur when people who have built a tolerance and dependence on alcohol stop consuming the substance. Disulfiram, which was approved by the FDA in 1951, is a tablet-form medication that blocks the positive feelings of consuming alcohol and in turn makes people feel physically ill when alcohol is in the system. The medication blocks the enzyme acetaldehyde dehydrogenase, which converts alcohol into acetic acid. When alcohol is consumed, it is converted in the liver into acetaldehyde, and then into acetic acid. When alcohol stays in the acetaldehyde phase, it can be extremely poisonous and lead to illness. When this occurs, the euphoric and positive feeling that people associate with alcohol is replaced by a negative feeling, which could remove the psychological dependence on the substance. People who take Disulfiram cannot have consumed alcohol within the last 12 hours. The combination of the medication with a recent consumption of alcohol could lead to serious side effects, including loss of consciousness or death. The use of Disulfiram might not be the proper treatment method for each individual and not all rehabilitation facilities use or encourage the use of this medication. Naltrexone, which was approved by the FDA in 1994, is a tablet-form medication that reduces the positive effects of alcohol on a person’s brain. The medication is known as an opioid-receptor antagonist, meaning it blocks opioids from interacting with opioid receptors and thus prevents the unregulated release of dopamine. When this occurs, people do not experience the same euphoric high from consuming alcohol and could become less psychologically dependent on the substance. Acamprosate, which was approved by the FDA in 2004, is a tablet-form medication that deters withdrawal symptoms by monitoring glutamate interaction with receptors and reducing the release of glutamate in the body. With less glutamate being released, and less glutamate interacting with receptors, the imbalance that occurs when people stop drinking alcohol is diminished or removed completely. Opioids, whether it’s prescription drugs such as codeine or illicit substances like heroin, interact with the brain and body in a similar way as alcohol does. Once opioids are in the body, they interact with opioid receptors and release dopamine, which causes a euphoric feeling. The interaction that opioids have with the body also decreases physical pain, which is why many people are prescribed these drugs as a pain-relief medication. Since the brain is likely to associate the euphoric feeling and lack of physical pain with the drug, people can desire the positive effects and become psychologically addicted to taking the substance. Additionally, the body physically associates the presence of opioids with the release of dopamine and can lead to a chemical imbalance when the drug is no longer present in the body. Due to the long-term effects that opioids have on the body, many medical professionals have looked into alternative methods of opioid-dependence treatment. MAT is an evidence-based method that replaces dangerous opioids or opiates with other drugs to appease cravings, diminish withdrawal symptoms, and prevent relapse and overdose once detoxification is complete. Methadone was first approved by the FDA in the 1940s to suppress coughing but has since become one of the more popular opioid-replacement medications for treating physical pain and substance use disorders. Many people wonder how methadone works. Since the drug is an opioid, it interacts with the brain’s opioid receptors the same was as heroin or other more extreme opioids but has milder effects. Since the drug is administered in a medical setting, the dosage is restricted to just enough to block withdrawal symptoms but not enough to produce the dopamine that leads to the euphoric high caused by heroin, codeine, oxycodone or other opioids. According to the FDA, Dolophine tablets and Methadose oral concentrate are the two approved methadone brands that can be used for MAT programs. Buprenorphine is a partial opioid agonist that was first approved by the FDA in 2002 under the brand names Suboxone and Subutex. The FDA has since approved Bunavail buccal film, Probuphine implant and Zubsolv tablets for MAT programs. As a partial opioid agonist, buprenorphine has a lower ceiling of effects and dependency and can block the effects of other opioids in addition to diminishing opioid cravings. Buprenorphine attaches itself to the opioid receptors and can stay attached for longer than other opioids, which means buprenorphine can knock off other opioids from the receptors and block some of the effects that opioids usually have on a person’s brain. People wonder how naltrexone works in treating opioid addiction. In a similar way as the drug helps with alcohol addiction, naltrexone blocks opioids from interacting with opioid receptors and thus reduces the production of dopamine. Vivitrol is the only FDA-approved naltrexone brand that can be used in an MAT program. In 2017, the FDA approved using a once-monthly buprenorphine injection as a method for treating opioid addiction. The agency approved the use of the injection for adults who suffer from a moderate to severe opioid addiction. Taking this step increases access to treatment for more Americans and makes receiving replacement treatment easier since it’s in monthly increments rather than daily or weekly. Naloxone is a substance used to stop and reverse overdoses caused by opioids such as heroin, oxycodone or morphine. Naloxone blocks opioids from interacting with opioid receptors, reversing the drug’s effects. Naloxone, which is used primarily as an emergency response drug to stop an overdose, can be taken by someone who is participating in a MAT program if they are deemed to be at risk of overdose. Dr. Roger Weiss, of McLean Hospital and Harvard Medical School, and Dr. Jennifer Sharpe Potter, associate professor of psychiatry and assistant dean for research and student programs in the University of Texas Health Science Center at San Antonio School of Medicine, analyzed the long-term abstinence rates among people who participate in a MAT program. They uncovered statistics that indicate a higher chance of success for those who participated in such a program. A total of 653 people received two weeks of consistent sublingual buprenorphine treatment, followed by two weeks of tapering off of the drug. Anyone who reverted to using opioid pain relievers during the two months of time following the start of the program were given buprenorphine for 12 weeks, followed by a four weeks of tapering off of the drug. The researchers, which included colleagues affiliated with the National Institute on Drug Abuse Clinical Trials Network, interviewed 252 of the 653 original participants 18 months after the start of the MAT program. Around 51 percent reported they had been abstinent for 30 days and more than 83 percent said they were not dependent on any pain-relief drugs. After 42 months since the program started, 300 of the participants were interviewed and answered the same questions regarding their substance use. More than 61 percent said they had been abstinent for at least 30 days and 92.5 percent said they were not reliant on any pain-relief substances. These results are much more promising than that of abstinence-based programs for the treatment of opioid addiction. A study of 109 people who received traditional treatment for opioid use revealed that more than 90 percent relapsed, with more than 59 percent of these setbacks occurring within the first week following the end of the program. How Is MAT Used at Orlando Recovery Center? Opioid addiction is an extremely difficult illness for people to live with, especially for those who struggle with chronic physical pain and feel they need these substances to perform daily tasks. As of 2017, more than 17 percent of Americans had at least one opioid prescription filled, with almost 58 prescriptions filled for every 100 people in the country. Many of these people risk building a dependence on the substance, which can lead to severe use and potentially an overdose. For those seeking care for an opioid addiction, abstinence-based treatment programs have long been used as a way to tread substance use disorders. However, not everyone responds the same way to one single treatment method. Have completed detoxification from non-opioid substances such as alcohol and benzodiazepines. Can participate in the three-day induction phase at Orlando Recovery Center or have completed it elsewhere. Do not have thoughts of suicide or suffer from mood instability. Understand the requirements of no other drug use except as prescribed with the program. 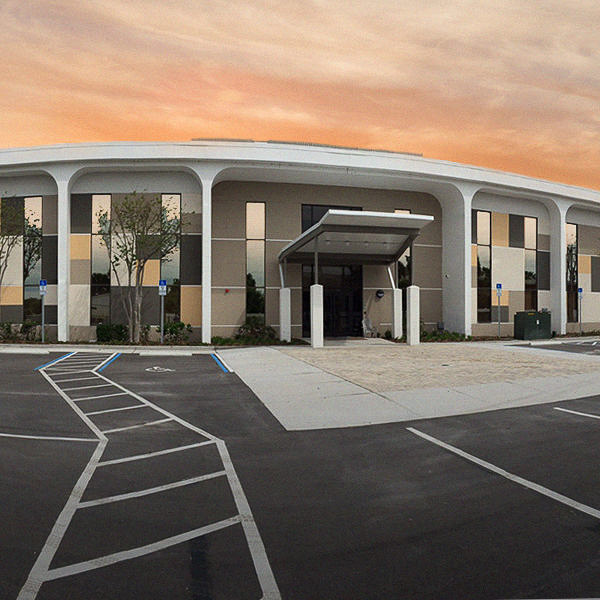 Reside in Central Florida or close enough to commute to Orlando Recovery Center. Complete program consent forms and the Orlando Recovery Center’s opioid replacement therapy participation contract. If you or someone you know has struggled with opioid use, there are alternative treatment options available for a healthier future. 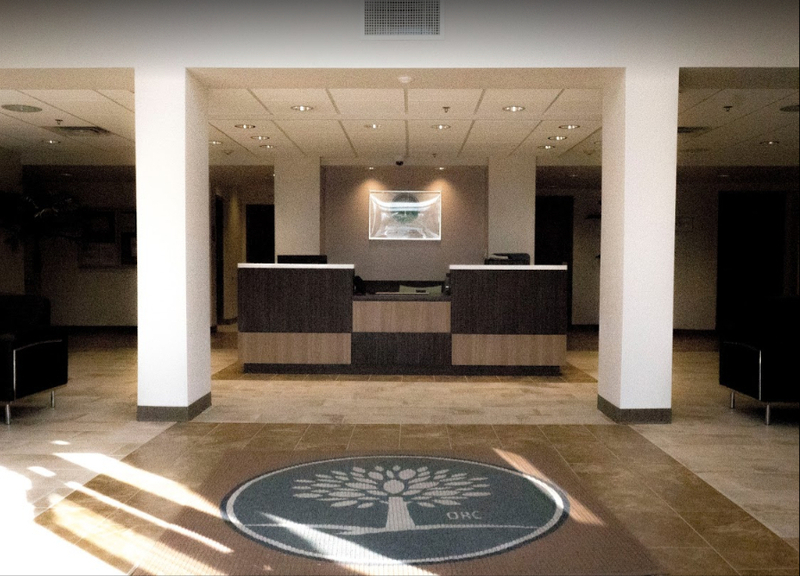 If you would like to learn more about the Orlando Recovery Center’s monthly buprenorphine subcutaneous injections, call one of the specialists for information on enrollment, insurance and if you qualify for the program.